So today I did a card up for my sister-in-law's birthday and it was h-a-r-d!!! My SIL and I are almost the same age, grew up in the same area, and have totally different styles (ha!). 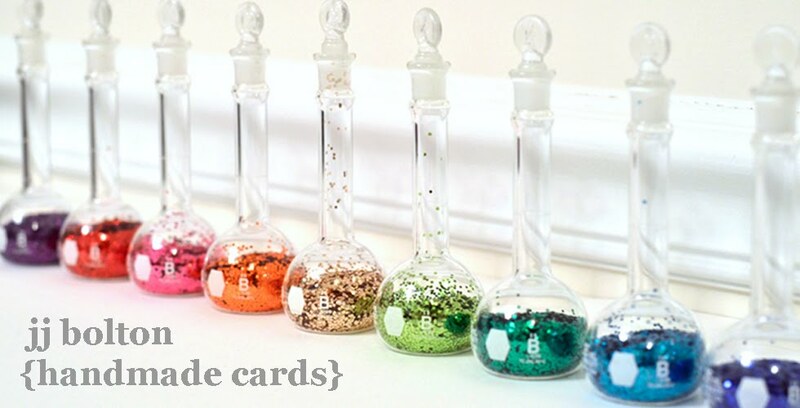 So the dilemma is, how do you customize a card for the recipient, when it's not your aesthetic? Tonight, I used this CASE Study Challenge inspiration to get me out of my rut. 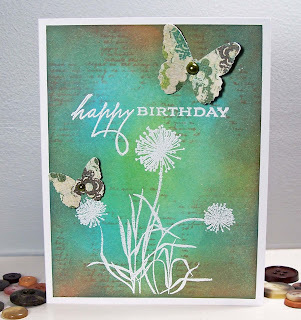 This inspiration card is a masterpiece created by Jill Foster, and it's a beauty! My card is not nearly as elegant or beautiful, but I did come away from the inspiration with some ideas to incorporate into my card. First, I did some patchy stamping on the background with a text stamp. Then I blended my distress inks over that. Then I spritzed with water. (Not rocket science, but something I've never done.) Then the flower and sentiment were heat embossed in white. This card is going in the mail, so I kept the second layer to a minimum. 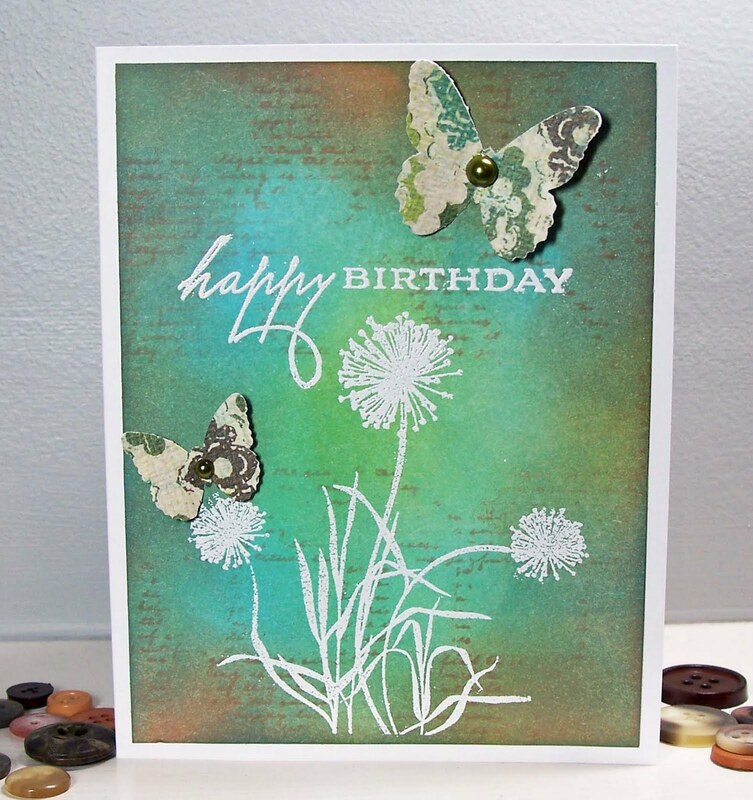 Things I took away from this challenge: 1) definitely trying the text background again (love the way it just melts away), 2) blending inks is fun and the more the better, and 3) cards are for the recipient! Hope my SIL likes it! Thanks to Jill Foster and CASE Study Challenge for giving me that extra bit of push I needed. Thanks for looking! What a lovely creation! 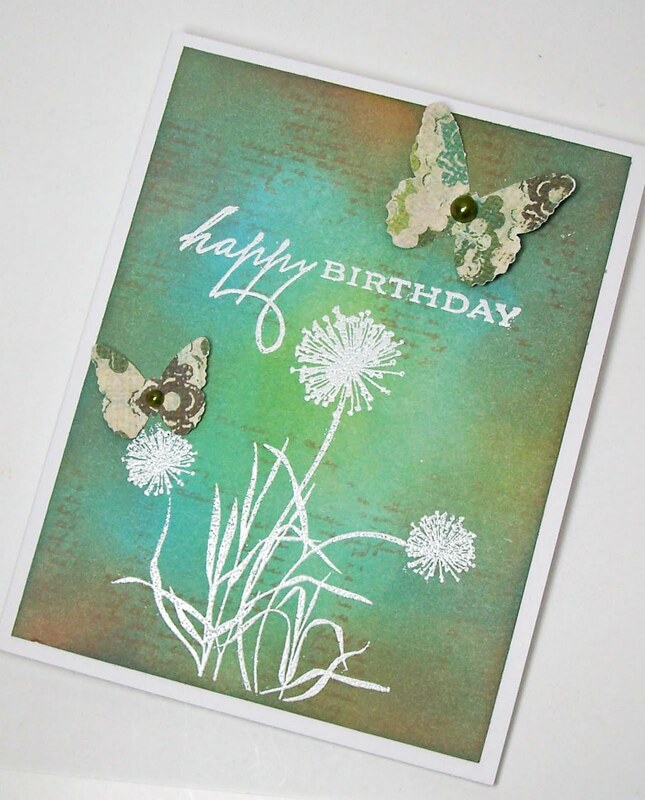 Great stamping, and I adore those butterflies! This is a beauty! 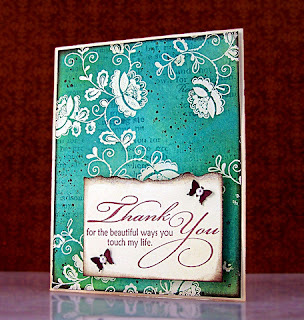 Love that you stamped the text first and it really blended into the background! GORGEOUS! Beautiful! I'm always afraid of the water step....too little becomes too much so fast ;) I love how this turned out - nice when trying something new works so well! Wow ! I love your background !